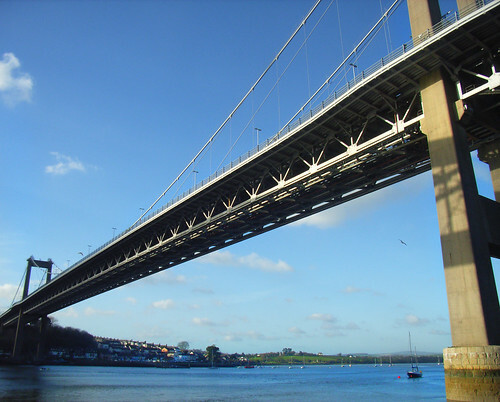 The 'modern' Tamar Bridge built in 1961 is another famous landmark and symbol of Devon and Cornwall although to be fair its the two bridges together that have become the much loved icon. The Bridge has its own web site which provides a fair bit of information along with some nice photographs with its webcams. Another source of nice photos is the Westcountry Views page The extension work carried out in 2001-2002 was groundbreaking and recieved world wide attention. It was also a finalist in the Prime Ministers Award for Better Public Buildings. There is more information about the bridge and the widening project here. Another award.